Three men found guilty in South Carolina last week of operating an $82 million Ponzi scheme accused a federal prosecutor of treason on the same day the jury returned its verdict, the FBI said. A treason claim also was made in the federal forfeiture proceeding against assets tied to Florida-based AdSurfDaily, an alleged Ponzi scheme involving $100 million. U.S. District Judge Margaret B. Seymour cited the treason claim in the “3 Hebrew Boys” case as a reason to send Joseph Brunson, Tim McQueen and Tony Pough to jail immediately to await sentencing. Brunson, McQueen and Pough became known as “3 Hebrew Boys” after operating a website with the same name, which is based on a biblical story of believers who escaped a furnace by relying on their faith. The Ponzi scheme operated under the nameÂ Capital Consortium Group LLC. Wilkens said the scheme targeted people of faith and members of the military. In the ASD case, the treason claim was made against U.S. District Judge Rosemary Collyer. ASD is known to have members who identify with the so-called sovereignty movement. California resident Curtis Richmond, a pro se litigant in the ASD case, identified himself in court documents in a separate case as a “sovereign” being who enjoyed diplomatic immunity from prosecution and answered only to Jesus Christ. Richmond is associated with a Utah “Indian” tribe ruled a “complete sham” last year by U.S. District Judge Stephen Friot. On the eve of a civil RICO trial last year, Richmond attempted to have Friot removed from the case by claiming he owed Richmond $30 million. Screen shot: Section of a pro se filing in the ASD case. Such bizarre claims have been popping up more and more in litigation involving securities. Gold Quest International (GQI), a company accused by the SEC last year of operating a Ponzi scheme from Las Vegas, claimed it was part of a North Dakota Indian tribe and was immune from U.S. law. After the SEC brought the charges against GQI in May 2008, Michael Howard Reed, the purported “attorney general” of the tribe, tried to sue the SEC for $1.7 trillion. The sought-after amount would have exceeded the total of federal income tax paid by individual U.S. filers last year by about $575 billion. 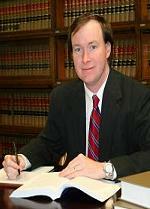 U.S. District Judge Kent J. Dawson struck a series of pleadings by Reed from the record. Meanwhile, Dawson jailed John Jenkins, one of the defendants implicated in the Ponzi scheme, for contempt. Dawson also dispatched the U.S. Marshals Service to arrest David Greene, also known as â€œLord David Greene,â€ in part for violating orders to repatriate money offshore to the United States. Despite Richmond’s behavior, he was labeled a hero on the Pro-ASD Surf’s Up forum. Over the weekend, Surf’s Up reinforced an earlier announcement that it would not permit discussion about the AdViewGlobal (AVG) autosurf. Another Mod reinforced the ban on AVG discussion today. “In the beginning days of AVG we made it clear this is not an AVG forum and it still will not be,” the Mod said. Surf’s Up members repeatedly have said they wanted to discuss AVG, which has close connections to ASD. Their requests have been consistently rebuffed. Some of the Surf’s Up Mods were among the founding members of the AVG surf, which came to life after a major court ruling went against ASD last year. AVG purported to be a “private association” that operated offshore. Members used the “offshore” angle as a key selling point, saying the surf’s purported country of operation — Uruguay — insulated it from prosecution. Like the “3 Hebrew Boys” operation, AVG sought to prevent members from discussing the company outside the confines of areas it controlled. AVG members were scolded for sharing information and calling the autosurf an â€œinvestmentâ€ program. As AVG was in failure mode in May and June, members were threatened with copyright-infringement lawsuits. Critics were told AVG would contact their ISPs to file abuse reports and suspend service. Kind of makes you wonder why the Mod’s really don’t want to discuss AVG. I wonder if they are afraid to admit that all the money they made from ASD, they lost it all back to Andy in AVG. Maybe this is how Andy has been covering his living expenses and attorney fees. Just wondering. Imagine profiting 100k in ASD, owing taxes, facing possible criminal charges and clawbacks….only to have lost the money in AVG. Wouldn’t that be poetic justice in their cases? I forget where I found the information, but I believe that one of the “Three Hebrew Boys” is a known member of Michael Howard Reed’s fake tribe, with prior transgressions relating to… vehicle licensing, I think? I would have to dig through a number of sites to locate the information again. Ah… it wasn’t as hard to find as I’d thought. Brunson is the fraudulent “Native American” in the Little Shell Pembina “tribe,” out of this trio. Whether the others are as well, I haven’t checked. I think the “Little Shell Pembina” tribe is actually legit, if my memory serves the sovereign nutcases claim to be an offshoot of it, the “Wolf’s Sphincter Band of Little Shell Pembina Tribe” or something as stupid. That is how a lot of cons, both in Indians and money scams work, they throw in a little legit information to steal the good name of something else…most HYIPs claim for instance to do “trading” and/or “Forex” as if they knew what that even means…. There’s a Little Shell tribe in Montana that is legitimate, Gregg. Reed’s group, the sovereign nuts, are based in North Dakota. Speaking of which, a serious conviction was recently won in Florida against Audie Watson, who was running a tribal membership scam to bring illegal aliens into the States. Guess which tribe he was inducting them into? Same one. Hatred and hypocrisy are a potent combination and it has been said that hypocrisy is the only art form that all people display a talent for, but that still falls short of explaining why the “sovereign citizen” system of beliefs adopts it’s self so well among some of the very people most despised by the people who originated the twisted ideology. The whole Posse Comitatus movement was tied in, loosely or otherwise, with the skin heads and Richard Butler’s Aryan Nation out of Hayden Lake, ID. These, in turn, were tied in with Robert Matthew’s ‘The Order’. Basically all these movements are/were a bunch of ‘sovereign citizens’, racists and malcontents who need to blame others for their problems and felt they could twist the constitution and laws to fit their purposes. Yes, but all of the “notarized affidavits,” “mail-box arbitration” and courts of Admiralty law ideas have been picked up not only by people without pathological hatred, but by the very people who were the target of that hatred. I appreciate the irony but there’s something else happening here. I use the internet nearly every day, but outside there most superficial generalities I can’t explain how it all works. All the routers, switches, hubs and packets provide their function without my being able to understand exactly how they work. But when I login, they do all work. However we see people buying into a speculative, alternative theory of legal justice which has a source they understand less than I do the internet. But unlike the internet, sovereign citizen legal theories can not be proven to work. In their original context the Sovereign Citizen (SC) ideas, while reprehensible do sort of make sense. Any government that blatantly violates their pathological hatred by treating black people as equal to whites can’t be said to be speaking for them (thank God). So to the SC crowd the social contract has been broken, they are free to exercise their ingenuity in creating theories which manipulate the justice system of the government they feel betrayed them, to their own (illusory) advantage. What interests me is what justification non-racists use for employing SC legal ideas. The ASD raid signaled a break in the social contract to some ASD members and rabid opportunists like Curtis Richmond and “professor” Moriarty rushed in to sell their worthless “legal advice.” I’d like to think the majority of ASD members who saw Curtis Richmond’s ideas dismissed them after the first reading, but some percentage of them didn’t. What state of denial do you need to be in to find SC legal theories credible enough to try and file them in court? GlimDropper: What state of denial do you need to be in to find SC legal theories credible enough to try and file them in court? Good question — and one that begs a second question: What state of mind do you have to be in to champion filings you perhaps didn’t even read or made no effort to understand? To me, that’s what brought out the Stepfordian nature of some of the ASD advocates. They were cheering from the rooftops, agreeing with the ASD/AVG forums operated by the Surf’s Up Mods that Richmond was a “hero” — but I got the sense that few of the posters actually read the filings or, if they did, understood what they were championing. Much of the cheering seemed reflexive to me; it was almost as though they’d cheer an event simply because it was described as something to cheer. So what if what they were cheering later proved to be a fatal traffic accident? The Stepfords didn’t even bother to look. They just cheered and cheered, as the coroner was arriving out of their view to make the death pronouncement. The cheering didn’t strike me as uniformly reflexive, though. Some of the cheerleaders knew that the case against Bowdoin was solid. Those cheers were based on a desire to poison the well against the prosecutors. The Stepfords were used by the people who knew the case was solid to create the appearance that ASD had widespread support. One thing about Stepfords: They’ll cheer without looking, accept without verifying, even condemn by rote. It’s easy to say the cheering was “Stepford” but I don’t think it was. It is a trick that has been used before and will be used again. The knee-jerk cheering is done in the hope that it will placate the “true” ponzi victims, and hopefully line them up for the next scam. eg. AVG, Noobing, etc. The “true” victims need to be placated because they are the most dangerous to the ponzi scam. They are the ones most likely to report scammers to the law, most likely to file a claim. So any dissent must quashed, any one who speaks out or question is a negative naysayer, or a troll. The illusion of “success” is engineered. Or maybe I’m wrong. Perhaps one of the ponzi supporters will give a different explanation? I think Will Rogers had it right when he said “There are three kinds of men. The one that learns by reading. The few who learn by observation. The rest of them have to pee on the electric fence for themselves”. Please note the relative proportions of the three groups. The “Surfs Up” forum is almost a classic example of an echo chamber, anything potentially negative about Andy or ASD gets deleted and the government is the source of all the problems (with us trolls lending it a helping hand). If anything it’s impressive that more “tag along scams” like Bob Guenther, Curtis Richmond and AVG didn’t happen. I don’t think it’s fair to judge the place by it’s most vocal members, perhaps it’s my optimistic nature but I bet most former members of that forum are far less likely to fall for scams today than they were a year ago. And while there seems to be a little larger gap for light to enter there recently, no credit for that fact belongs to the promoters and moderators. Tony H: Itâ€™s easy to say the cheering was â€œStepfordâ€ but I donâ€™t think it was. It is a trick that has been used before and will be used again. The knee-jerk cheering is done in the hope that it will placate the â€œtrueâ€ ponzi victims, and hopefully line them up for the next scam. eg. AVG, Noobing, etc.The â€œtrueâ€ victims need to be placated because they are the most dangerous to the ponzi scam. They are the ones most likely to report scammers to the law, most likely to file a claim. So any dissent must quashed, any one who speaks out or question is a negative naysayer, or a troll. The illusion of â€œsuccessâ€ is engineered.Or maybe Iâ€™m wrong. Perhaps one of the ponzi supporters will give a different explanation? Very good points Tony. Not only are the true victims more likely to complain, they’re less likely to have a reason not to. The “players” have the big “downlines” and have a (slightly) better chance of being in profit so the less disclosure the better. They need to stage manage the victims, not only to route them into the next scam but to keep them from cooperating with the prosecution. I ~almost~ feel bad for Barb McIntyre, she was one of the few Surfs Up mods not to get involved in AVG and is now treading on the brink of allowing a discussion of the program. She clearly has some level of sympathy for AVG’s victims but there’s no way she can permit an honest discussion because any complaint against AVG is also true of ASD, only this time the government isn’t there to play the bogeyman. Tony H: Itâ€™s easy to say the cheering was â€œStepfordâ€ but I donâ€™t think it was. Perhaps what I find oddest about the case is that some of the early Stepfords now appear to recognize they’d been doubly scammed — first by Bowdoin, and later by the strategic cheerleaders. Regardless, some of the Stepfords still appear to be inclined to join in the antigovernment rants for the sake of being accepted at some level by the people who scammed them, thus refusing to break away altogether. Example: Acknowledging they’d been ripped off by Bowdoin, but nevertheless complaining that they hadn’t received their ASD/Golden Panda restitution and blaming it on the government — perhaps even complaining about the slow-to-materialize refunds while simultaneously pushing other autosurf Ponzis. That’s Stepfordian to me: acknowledging you’re a victim of fraud in one case, and then joining the people who defrauded you in a new fraud so it can happen all over again — all while reserving your right to jeer the government. The Stepfords are the best friends the strategic cheerleaders can have. GlimDropper: I donâ€™t think itâ€™s fair to judge [Surf’s Up] by itâ€™s most vocal members, perhaps itâ€™s my optimistic nature but I bet most former members of that forum are far less likely to fall for scams today than they were a year ago. And while there seems to be a little larger gap for light to enter there recently, no credit for that fact belongs to the promoters and moderators. I agree. Lots and lots of people have emerged from the fog — in no small measure, I believe, owing to the behavior of some of the principal strategic cheerleaders on Surf’s Up. During the summer, a poster here described herself as a former delusional in a thread that discussed AVGs’s whopping, 250-percent matching bonus. First it made me laugh, and later, as I reflected, it made my day. “When I was still delusional, I would have been doing cartwheels about now,” the poster said. Where I work, we have a few loud people with forceful opinions. This is not correlated with actual knowledge in any way. Many people just follow the vocal ones. Those with dissenting opinions usually keep quiet as it’s often not worth voicing an opinion. Not only do you lose, in many instances, but the vocal and forceful ones will see it as a challenge to “their authority”. The only authority they have is the force of their will and they will spend energy to keep that illusion going. It’s not anything near as evil as ASD and other illegal schemes, just the nature of office politics…but it tends to feather the nests of those who play the game and grant themselves “authority”. Any fool can critize but it takes a wise man to understand.First of all this was not a ponzie. I was in the court room no one made a statement that they didn’t recieve what was promis to them. the Banker was there and ever thing was done right.I believe the whole issue is you have three black men have learn how to help people without bowing down to this unjust system and being a borower. and our blue eye brother don’t like it,and to say judge seymore have already put herself in a negative light so she have to stay put and play the evil and unjust game. all whats done in the dark is about to come to the light from the top to the bottom get your story stright and know the true facts behind all of this. Your point of view is in total contrast to those of all people who understand the mathmatics of how a legal business works, including those who make the laws and those who enforce it, but so be it. Able Catherine: Any fool can critize but it takes a wise man to understand. [……..]all whats done in the dark is about to come to the light from the top to the bottom get your story stright and know the true facts behind all of this. In the case of the “3 Hebrew Boys” the trial has already demonstrated a clear case of affinity fraud and when the ASD criminal trial gets going, we will certainly find out some of the true facts behind it. Affinity Fraud is a particularly odious form of fraud, especially when it abuses people’s religious faith. Andy Bowdoin has a long history of this too. All the conspiracy theories in the world will never change the stark facts that con men are so called because that’s what they are – Confidence Tricksters who gain your confidence and then defraud you. Sounds like you have been well and truly conned.